The Ultimate Blog Party 2009 just wouldn’t be the biggest party in the momosphere without the incredible prizes! As usual, we have our favorite party coordinator Pamela from Happy Panda to manage the giveaway madness. Pamela has again done an amazing job collecting and listing prize submissions. Please click over to her blog and thank her. Pamela’s Happy Panda baby clothes are fabulous. If you have a baby shower gift to purchase for someone special, please consider a Happy Panda baby gift set or an adorable Panda baby shirt. You can even get a huge exclusive discount — 25% off of her adorable line of baby clothes. Simply use code: 5M4M during checkout. Offer expires: 1/1/10. Help feed the estimated 1 in 8 Americans suffering from hunger with ScottsMiracle-Gro GroGood campaign to plant a garden for the greater good! Take the GroGood pledge. Eat well. Share the harvest. Grow some good. Bloggers — Sign the “Mr. Linky” at 5 Minutes for Mom between March 20th and March 27th, invite your friends via a post, put the Invitation Button on your blog’s sidebar and comment on our party post. Non-Bloggers — We want you to be able to have fun and party, so you are included too in the prize draw. All you need to do is comment on our party post and attend some parties! Visit and comment on at least 20 blogs participating blogs – simply click on the blogs name on the list of links called the Mr. Linky to party hop – and you will qualify as a party guest. We will award the prizes by a random draw. 5 Minutes for Mom (Janice and Susan) and Pamela, who is the prize coordinator, will not be eligible in the draw. Prize hosts will be responsible for sending their prize to their winner. If a prize host wins their own prize, their name will be put back and a new name will be drawn. Please see our site’s Terms and Conditions for our complete list of contest rules and regulations. Discover the magic of ARM & HAMMER® Baking Soda. Not just for baking and deodorizing, Arm & hammer has countless household and personal care uses. The best part, it’s safe to use around our food, pets and kids! We’re going to let you choose which prize you want! Read through all the prizes and visit the listed sites.Take your time – you have until 11:59pm Eastern on March 27, 2009. Read through the prizes but also visit the blogs and spend some time browsing the sites. Prioritize which gifts you’d want most and make a listEach gift is numbered, so just make a list such as:10, 24, 30, 45, etc.The list does not have to include all the gifts. For example, if there are ten gifts that you know you’d really want, and besides that you’d be happy with any of the other gifts, you can list just the ten. It’s up to you… but the best idea is to make your list complete. $50 gift certificate from Happy Panda. 5, 8, 20, 32, 12, 3 or anything else related to babies and young children since I have a 3 month old and a 2 year old. That is just an example. You can list more or less prizes… whatever you’d like to tell Pamela as she proceeds through the prize awarding. OxiClean® Max Force™ Laundry Stain Remover is Stain Fighting Made Easy! From grass stains to your toddler’s tomato sauce covered shirts. Fight back and save those garments that you at first thought you’d have to throw away. Prize details: Pedal Cars, Retro Collectibles, Rocking Toys, and Children’s Furniture. 5 Minutes for Mom would like to donate a $100 gift certificate to one lucky winner to spend at one of their two e-commerce stores Pedal Cars and Retro or A Rocking Horse To Love. Prize details: Tagless baby apparel! Happy Panda would like to donate a $25 gift certificate to three lucky winners. Get free shipping on your order until May 1st using the code “5M4M” at checkout. Prize details: Spring is here and what better way than for your little boy or girl to sport a fun new t-shirt from tottieBEAN. Choose from elephant, crab, whale or the popular peace/love/happiness style. In addition, tottieBEAN would like to offer $10 off any purchase by entering code “style” at checkout. Prize details: If you are frustrated with your tummy bulge this Core DVD provides innovative techniques so you lose the mom tummy! 8 — A personalized name dot variety pack of Stuck On You. Prize details: Get organized and stay worry-free with Stuck On You personalized labels for you and your kids. Available in a variety of designs and graphics, these labels can be used for everything from indicating allergies to labeling summer camp belongings. A Stuck On You representative will be in touch with one lucky winner to obtain information for label pack personalization. Labels worth $23.95. Prize details: Child’s Crayon Apron made out of bright colorful seersucker fabric with 24 Crayola crayons. Prize details: Are you ready to break through the barriers obstructing your goals? Joined by authors David Ambrose, p.m. terrell, Darlene Wofford, Jocelyn Andersen, Bob Johnson, C. Denise Sutton, and Bill Wilson, Wolfe’s book will energize your passion for life! Prize details: Pamper yourself with this $20 Gift Certificate to The Gift Closet! Choose from my handmade Shea Butter, Soy Linen & Body Spray, Scrabble Pendants, or Scrabble Magnets! Prize Details: 1 Scentsy Warmer, 1 Scentsy Bar and 1 Scentsy Room Spray – winners choice! Prize details: Ladybug Limited has hair accessories for lucky bugs! The winner of this $20 gift certificate can choose from any of the no-slip clippies, fabric button clips or ponies, or hand-printed custom clips or ponies. Prize details: Mom deserves a little pampering! Jenna’s Jewels will donate a $35 bracelet and earring gift set to one winner. Prize details: PMKU is donating 5 of their favorite t-shirts. Join in the fun where learning never ends. Read about product reviews, Wordless Wednesdays and ups and downs of a WAHM. Prize details: Feel the difference that goat milk makes! Goat Milk Stuff is donating 5 bars of our handmade goat milk soap (made with milk from our own dairy goats). And the best part – you get to choose your favorite scents! Prize details: Agoosa would like to donate a $50 Target gift card to one winner. Prize details: Everyone loves a gift card! Beginner Baby Blog would like to donate a $50 Target gift card to one winner. Prize details: Who says a bowl has to be round? The triangular-shaped Baby Dipper® bowl allows one-handed feeding of infants, and makes self-feeding easy for toddlers. Prize details: Prisoner of Circumstance is available on Amazon.com and is a novel written by Nadine Zawacki about a woman, a mobster, a cop, a prophet, betrayal, murder, and the struggle to do the right thing. Prize details: Delight the new mom with a practical new baby gift! Diaper Cakewalk is offering any 3-tier diaper cake from their Bestselling Diaper Cakes category. Prize details: Get your kids into the kitchen with you! LoLo Craft would like to provide one winner with their choice of either a Toddler Girl apron or a Toddler Boy apron. 29 — Mom’s Money “Makeover”- Get your taxes, finances and baby looking good! Prize details: “Makeover” package includes TurboTax Premier Online Web Card (a pre-paid access code for one free federal + one free state preparation + e-files), Quicken Deluxe CD and TurboTax “cutest little tax deduction” baby romper (total estimated value $150). Prize details: weeBgreen, earth-friendlier, safe products for baby, tot & more is providing 2 $25 gift certificates towards products found at www.weeBgreen.com. All products are wee tested. Mommy approved. Prize details: Celebrate the joy and strength of girlhood and positive self-esteem! Balanced Steps would like to donate an author-signed book (retail value $17.99). Prize details: I Brake for Meltdowns offers parents an annotated listing of all the exasperating things little kids do and step-by-step advice on how to handle each situation. Da Capo Lifelong Books would like to donate a copy of this book to one lucky winner. Prize details: In this hilarious memoir, Vicki Glembocki tells of her agonizing transition into motherhood and lays out the truth about those first months with baby. Da Capo Lifelong Books would like to donate a copy of this book to one lucky winner. Prize details: The perfect gift for parents-to-be, this boxed set contains the 6th edition of Your Pregnancy™ Week by Week and the 2nd edition of Your Baby’s First Year™ Week by Week. Da Capo Lifelong Books would like to donate a gift set to one lucky winner. Prize details:From the trusted authors of Your Pregnancy™ Week by Week, this essential guide covers everything dads-to-be need to know about pregnancy, childbirth, and getting ready for a new baby. Da Capo Lifelong Books would like to donate a copy of this book to one lucky winner. Prize details: In this New York Times bestseller, Jenny McCarthy reveals the naked truth about pregnancy and childbirth. Da Capo Lifelong Books would like to donate a copy of this book to one lucky winner. Prize details: Are you getting your 10,000 daily steps? Omron’s Digital Pedometer helps you to keep track. It works in your pocket, clipped to the waist of your pants, and even in your purse! Come by and visit Fat Loss Chronicles for a second chance giveaway as well. Prize details: Chesapeake Ribbons specializes in classic handmade ribbon accessories for the entire famliy…with a cause. Chesapeake Ribbons would like to donate a $30 gift certificate to three winners. Our products make great gifts for children and adults…coordinate siblings, mother-daughter, and/or father-son! Prize details: Handmade calendar, cards and lunchbox tin valued at $40.00. Prize Details: Elemental Memories is giving you a choice this year! If you win our prize, you can choose between our Simply Precious Photo Tile Necklace ($110) for her, or our key clasp style Boston Locket – photo jewelry for him ($185). Prize details: kajeet the pay-as-you-go cell phone service for kids, created from a kid’s point of view. kajeet services include unlimited free parental controls and GPS – along with all the text, pictures, talk and games that kids want. kajeet is pay as you go with no long term contracts, no activation fees, no termination fees, and no high overage surprises. Prize details: Eco store has eco friendly products for your home + life; their tagline reads No Nasty Chemicals™. Little Bites of Heaven would like to offer a $25 gift certificate to two winners to be used at their online store. Prize details: Award winning educational books for children. Moving Forward is donating a $15 gift certificate to one winner at her online store. 45 — Ultra Chic Diaper Bag with matching Diaper Pocket! Prize details: Make feeding time cleaner and easier than ever before…without sacrificing convenience or style! M is for mommy would like to donate a free skyoozmee to three winners. 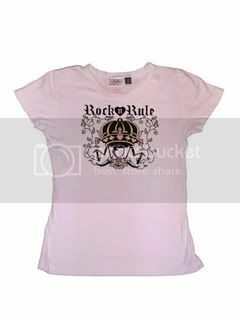 The winners will select and receive their favorite style.We welcome you to visit us at www.skyoozmee.com. Prize details: Hip invites and cool notes for bride, baby, child and mom. Paperlicious.com carries exclusive designs for all of their invitations, stationery, and Momager Calling Cards, like their Rock Star/Hollywood themes and ferocious animal print designs. Thanks to their quality affordable products, stellar customer service and commitment to being eco-friendly and socially responsible, Paperlicious has helped get the party started for thousands of clients since 2005. Prize details: Enjoy a fresh look for your home–potpourri, oil candles, engraved signs, candles, and country decor! You deserve it! Prize details: A touch of whimsy and fun for little ones! Three winners will receive a $25 gift certificate good towards the purchase of stylish baby gear, gifts, bedding, decor or apparel! Prize details: What’s your baby trying to say? Unlock the mystery with Signing Time! Two Little Hands Productions would like to donate a Signing Time Parent Success Kit to two lucky winners. Prize details: Announcements Galore is offering a $35 gift certificate to one lucky winner. The store features a wide selection of photo cards, magnets and collages. Prize details: Enjoy this deliciously scented strawberry moisturizer made with live strawberry cells! The packaging is so cute you have just have to see it!! Prize details: Since I just moved, I have been setting up my Office/Studio and cleaning and purging. I will have a wonderful Surprise Box of Art Supplies for the winner! Prize details: Show that you are proud to be an “Artsy Mama” by proudly wearing/displaying your Artsy Mamas shirt, button, and bumper sticker! Artsy Mamas is giving away one fan pack to one lucky mama. Prize details: Our free action-oriented book club outlines help motivate reluctant readers to read. We are happy to offer one book club kit to help you organize and start your own book club. Kit includes one book: The Chocolate Touch and items to help with your book club activity. Prize details: MyGoodCents.net would like to offer a Pepsi tote full of gifts for mom and kids! Swiffer sweeper, Glade scented oil candle for mom and a n.a.p. cuddle bear, Johnson’s Buddies soap, and a Scholastic book for the kids. Prize Details: Beautiful handcrafted items for your baby’s needs! OhBaby! Sew Boutique would like to donate a $15 gift certificate to three winners to be used on our online store. Prize Details: DietsInReview.com is donating a diet book and grocery tote to six winners to help them live a healthier lifestyle. Value is $16.95 – $26.95. Prize details: Are love stories your thing? Danielle Steel’s latest novel is sure to be your new favorite novel. Prize details: It has beautiful chipboard pieces and flowers in lovely feminine shades of pink. It would make any scrapper happy! Prize details: Crutches decorated your way! Every Kid Mobility would like to donate a $175.00 gift certificate to one winner to be used to purchase a pair of Creative Crutches, decorated with art of your choice. Prize details: A High And Noble Callingwould like to encourage you in your role as a wife, mother, and homemaker by donating one $30 Gift Certificate to Christian Book Distributors for you to enjoy. Prize details:Unique accessories for moms and kids! Our newest style of flip flops are a huge hit, and we would love one lucky winner to have a pair for her and her daughter. Prize details:Enjoy a McDonalds Meal on Shop with Me Mama! One winner will receive a $10 McDonalds Arch Gift Card to spend at McDonalds! 73 — 1 Free SNACKER CATCHER- pattern of their choice, along with an extra replacement strap used for this product. Prize details:Moms, Forget the 3 second rule moms! Keep your baby safe with this new, unique & affordable product called- SNACKER CATCHER. This product is the Only large snack holder designed to Prevent a baby product dropping their snacks on the dirty floor. Saves time, money & makes life a whole lot easier!! BPA free, Phalate Free! Winner of 2009 Gold MOMS CHOICE AWARD! Prize details: This book was written by a teen for tweens. It would be a great gift or a to read as a family. The story goes something like this: Keegan is a young orphan in a medieval land and he has a secret. He speaks to animals. Follow Keegan on his journey as he tries to evade the deadly kidnappers, survive in the wilderness and try to find safety in the homeland. Prize details: We feature unique, personalized gifts for children. Prize details: Lollipop Papers would like to donate a place mat, melamine plate or lunchbox of the winner’s choice from the selection on our website to three winners. at Tiny Tots with Style. Two lucky winners will receive a $25.00 gift certificate to Tiny Tots with Style. Prize Detail: Do you crave exclusive clothing for your little darlings? Indulge yourself with exquisite American craftsmanship from Wow Baby!!!. If it is form, function and fashion, it’s got to be Wow Baby!!! Prize Details: 1 (one) Fat Bottom Bag – Hand made (crocheted) in the color of choice and lined – value $50. Prize Details: Personalized name bracelets, beaded and hand stamped jewelry custom designed for you! MJennings Designs, LLC would like to donate a $25 gift certificate to one winner to be used at their online store, MJennings Designs, LLC. Prize details: Winner will receive a gift card worth $25 to be used at ecostoreusa.com to purchase earth friendly products. Prize details: A hardcover copy of the Usborne book, Cats will be mailed to one winner. Prize details:Add to your country primitive decor with one of our Handmade Embroidered Pillows. We will be giving away 2 pillows, both with the word “family”. Prize details:Find the cutest scrapbooking and stamping products available! ThatGirlBlogs would like to donate a $25 gift certificate to one winner to be used at Close To My Heart. Prize details: Discover the Passion, the Thrill and the Grill of Carrabba’s! The Divine Miss Mommy would like to donate a $40 gift certificate to three winners to be used at any Carrabba’s Italian Grill. Prize details: Get Spring! Get Savings! Get Happy! HomeGoods would like to donate a $100 gift card for use in-store. Happy Shopping! 90 — a copy of Feed your skin, starve your wrinkles and 2 skin care products: a face scrub and a face moisturizer. Prize details: You deserve a bit of pampering! Find how to nourish your skin from the inside out in this book, and enjoy some new skin care products. Prize details: What girly doesn’t want a moment to splurge at Target? Enter to win a $25 gift card from Mummy Deals and go shopping on me! Prize details:The Halo SleepSack wearable blanket helps protect against SIDS by replacing loose blankets in the crib. It’s the #1 choice of parents and leading experts for keeping your baby warm, and sleeping safe and sound all night. Prize details:The Halo SleepSack This necklace has a $38.00 value. 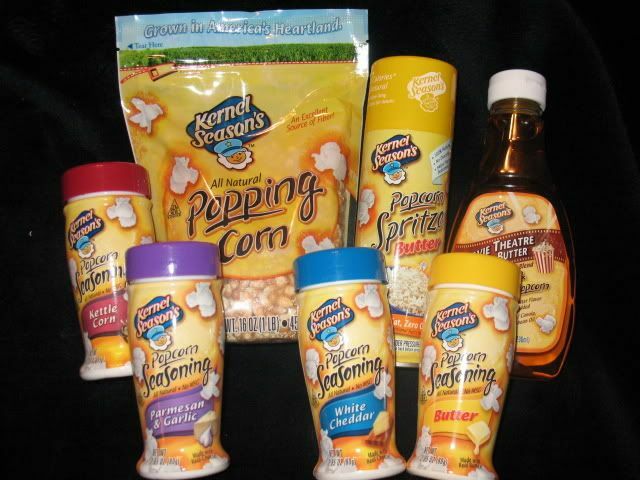 Prize details: Kernal Seasons Popcorn Prize Pak includes a pouch of popcorn, spritzer, oil and 4 toppings-butter, white cheddar, parmesan garlic and kettle corn worth over $27. Prize details: Capture your memories with custom cards from Lil’ Duck Duck , a family business inspired by their little boy & his beloved stuffed duck. We are offering a free set of folded 5×7” Rainforest Thank You Cards (no customization available), retail value $67.00. Prize details: Monica at DailyDwelling would like to donate a set of handmade, personalized scrabble tile and glass tile pendants. Pendants valued at $12. Prize details: An ebook called PR in Your Pajamas – Practical Publicity for the Time Strapped Mom Entrepreneur, and a media list of over 200 reporters receptive to news from mom entrepreneur companies, products and services. Prize details: Our 4 tier captivating diaper cake features Gund’s Manni bear. Manni is the most lovable, huggable bear with a sweet smile on his face. In addition the cake contains approximately 70 Pampers, Burts Bees products, and cute embellishments to create a great gender neutral baby gift. Visit our Lil’ Baby Cakes blog for a $10 coupon you can use for any 4 tier diaper cake purchase during the entire Ultimate Blog Party. Prize details: Do you like surprises? Monkey’s Momma would like to donate a Surprise Box filled with goodies customized just for the winner! Prize Details: An Interactive Introduction to Literacy!! Custom handmade felt board stories to make storytime with your children more interactive and fun! Glitterful Felt Stories would like to donate one $25.00 Gift Certificate to be used on their main website! They are also offering a coupon for 10% off your next purchase using the coupon code 5minute! Have a Glitterful Day!! Prize Details:Custom handmade items for your funky kid! Prize details: Providing the best of what is good for your kids, Good for the Kids is giving away the winner’s selection of a Melissa & Doug Role Play Dress Up Costume. Prize details: Give a keepsake your recipients will always remember. A precious photo birth announcement to celebrate the birth of your child. Your little cupcake or pirate having a birthday? We offer unique and personalized party invitations that will have everyone talking. Enjoy 10% off through March, use code MAR10 when ordering. Prize details: Mary DeMuth is an award-winning author and this is the newest of her releases. I look forward to your visit and hope you’ll follow me on Twitter @PensieveRobin. Good luck! Prize details: The Stampin’ Up gift pack is yet to be determined, but if you’re a hand-stamper, you’ll love it! I look forward to your visit and hope you’ll follow me on Twitter @PensieveRobin. Good luck! Prize details: Delicious Philly CheeseSteak Subs that the whole family will enjoy! Charley’s Grilled Subs would like to donate a gift certificate to one winner to be used at their locations nationwide. Prize details: Take a few moments to treat yourself to a special “quiet time.” Enjoy scrumptious shortbread, the best chai you’ve ever tasted and a signed copy of “Tea and Inspiration.” Approx. value $45.00. Prize details: A precious gift for a precious little girl! This silver-tone locket and bracelet set features decorative floral designs. Aleximani Events would like to donate a floral Jewelry Set to one winner. Prize details: Buy some products to organize your home or office on me! Multi-Tasking Mama would like to donate a $25 gift certificate to two winners to this popular store. Prize details: Feed your pig and your gut at Wendy’s Hamburgers on us! We are giving one winner a $10 gift certificate to Wendy’s! Prize details: Buy something fun for yourself or the little ones. Prize details: These Life journals will guide you (and a friend) through the SOAP method of journaling your way through the Bible in a year, or whatever time frame you choose. On April 18-19 I will be cycling from Houston to Austin in the BP MS 150 to raise awareness and funds for Multiple Sclerosis. Want to support my ride or learn more about why I am riding? Prize details: PaperCrank is giving away Six Handstamped-Handmade Cards to one winner. Prize details: Jump start you savings with a $10 gift card to CVS! TiaSavingCents would like to donate a $10 gift certificate to one lucky winner to help them start saving BIG with a little drugstore game! Prize details: Does your busy toddler need a little down time? Our top-selling personalized minkee toddler pillows are ultra-soft and hugable. Custom, handmade, and just the right size for your little one (designed for ages 2 and up). Visit our website to see all the fabulous color swatches to choose from, and to see which famous celebrities’ twins have our pillows! Prize details: I’m always finding great deals at Kohl’s and want you to be able to go find some deals of your own on me! 125 — A neato mommy & toddler gift basket! Prize Details: The gift basket will include a randomly selected Ipod Gelaskin, Knex Sesame St Building Set, a Tangles Toy, a cool set of Elephant Ears for dress up, and some other random goodies. All of which will be fun for a mom and a toddler/preschooler. Prize details: A romantic legal mystery that takes place in both the U.S. and Great Britain. Prize details: Access for 1 full year to the 400+ printable lists and planning pages that ListPlanit.com has to offer. Prize details: A wonderful addition to any Mother’s Day gift plans is “Cup of Comfort for Mothers and Daughters,” provided by Linda Crow, a contributor. Prize details: These two keepsake gifts from Child to Cherish are perfect for a baby shower gift. Prize details: Discover new ways of enjoying chocolate with exclusive DOVE Chocolate Discoveries. This prize must be redeemed directly with this Chocolatier only. Prize details: It’s a woman’s world is helping Randy Petrick spread the word that small changes in thinking and daily activities can lead to abundance. His book is a collection of 85 activities and lessons to assist you in changing your financial status (Retail Price $29.95). Prize details: There hasn’t been much potty training success with child number four at It’s a woman’s world. Hopefully the Baby Signs® Potty Training Kit will be just the boost needed. The kit includes a parent’s guide to the program, Job Well Done! Stickers, and the All Aboard the Potty Train DVD, Lift-the-Flap Book and Conductor’s Whistle (Retail Price $39.95). 134 — A box of 10 Christian books. Prize details: Book lovers, this one is for you! A great mix of Christian fiction and non-fiction books! Visit Roads to Learning for a list of the titles. Prize details: Ergonomic sling style diaper bag perfect for both Dads and Moms. BabyBrowns.com will donate the $80 bag to one winner. Prize Details: Let me help you memorialize one important event in your life MOMMY SCRAPS ALOT would like to offer 1 lucky winner a personalized scrapbook made of paper bags winner chooses the theme birthday, baby, vacation, etc…. It’s small, fun and easy to share with others valued at $25.00. Good Luck. Prize details: Angela at mommy bytes is donating a $15 gift certificate to Amazon.com. Prize details: For a mom who loves to journal! 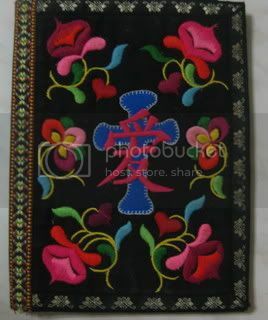 This beautiful and unique journal cover was made by a Lolopi Yi woman in China to provide money for her children’s education. INTL 6 — Spring or Easter Treasure Jar. Prize details: Want to give or send a fun, unique gift package to a child in your life? A treasure jar is a plastic jar, filled with small gifts and treasures, customized just for your child! Prize details: Would like to donate to TWO WINNERS, (4) of my digital scrapbook kits of your choice found here AND (1) 5×7 or 8×10 custom printed party invitations, graduation, baby or wedding announcements, birthday invitations, photo collage or any custom printable you may need. Each winner will receive both of these items listed above. Prize details: One Lucky Winner has the chance to win the New Karmin G3 Salon Pro Hair Styling Iron, the Ultimate Hair Styling Tool, courtesy of My Hair Styling Tools! Whether you choose to curl, flip, straighten or add volume and body, the Karmin Salon Pro is the only styling iron you will ever need. 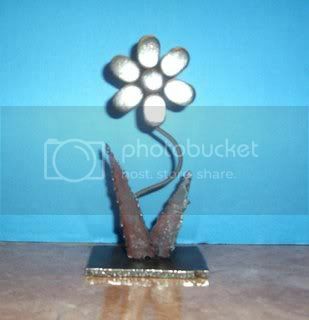 Prize details: Hand crafted by artist Robert Sloan of Hanging Lake Studio the Flower Metal Sculpture – desktop Measures: 7″ H, 4″ W, 3 1/4″ deep Weighs: 1 3/8 lbs Value $30.00. Prize details: Learn how to make just about anything! From clothing to jewelry, and home decor to aprons and handbags, you’ll find it all! Prize details: Machine embroidery designs never got any cuter! You’ll win a bundle of “must-have” machine embroidery designs! Prize details: Love to machine embroider? Win a $100 gift certificate to JesseKate Designs! Prize details: Be included in our irresistible shopping guide! We cater to style-savvy women who seek the most fabulous must-haves the web has to offer. Winner needs to own online shop to receive this prize. Prize details: Custom Designs to make you look your best online and off! Angela Vinez Designs would like to donate a $75 gift certificate to one winner to be used at their online store. Prize details: Win a custom photo card design from Barefoot Pages! We would love to design a special birth announcement, birthday invitation, or holiday card especially for you (other card styles are available). This is a high resolution .jpg file that you will be able to print on your personal printer or upload to your favorite photo processing center. Prize details: 5 Minute Mystery offers bite-sized mysteries for you and your kids to solve twice weekly (Mon & Fri). Just choose the clues, then select your suspect to earn points and move up in the rankings to become a ‘Top Sleuth’. Non-violent, G-rated stories are family-friendly and always fun – set up a league and play against your family! Valued at $9.95 each (winner can use one for themselves, one for a friend or child). Prize details: Providing our customers with what is good for your kids, Good for the Kids would like to donate a $50 gift certificate to two winners to be used at their online store. Prize details: Promote your blog, company, and/or products! Tip Junkie would like to donate a $130 Sponsor ad button which is equivalent to 2 months free advertising. Prize details: Promote your blog, company, and/or products! Tip Junkie Mom-preneur Shops would like to donate a $100 Premium Ad Position which is equivalent to 2 months free advertising. Prize details: The geek way of making keepsakes is to use Shutterfly. Scraps of My Geek Life is offering one (1) $20 gift certificate via e-mail to Shutterfly. Prize details: Kidproof your PC today! BufferZone lets your kids freely explore the internet by clicking on any link or file, while keeping your PC safe from Internet threats. Prize details: Cutest Baby on the Block specializes in Baby Basics and Mama Must-Haves including hooded towels, bibs, burp cloths, tutus, hair bows and more! Cutest Baby on the Block would like to donate a $30 gift certificate to one winner to be used at its online store. Prize Details: Get more traffic with a 125×125 ad and learn to market your business with my ebook, Article Marketing Step by Step. Prize details: Need some simple kitchen and homemaking inspiration? Heavenly Homemakers would like to donate a $15 gift certificate to one winner for their online shop! Prize Details: Buy a bargain book, some mp3 downloads, or put this towards a larger purchase. Amazon has something for everyone! Prize details: A collection of 26 songs by Sonbeams, based on the ABC Bible Memory Verses. This collection is not only a delight to listen to, but will teach your child the ABC Memory Verses! Included is the Parent/ Teacher Guide, featuring 26 mini-lessons which explain what each verse means, as well as provides practical applications for children. Prize details: Winner’s choice of boy, girl, or boy AND girl Chore/ Responsibility Chart download from Sonbeams. Each chart teaches Colossians 3:23 – to do all things as to the Lord, and not to men. Prize details: Stand out from the crowd…Make your blog your own with a custom Southern Girl Blog Design valued at $40. Available to English speaking Bloggers that use the Blogger platform only. Prize details: Hankering for an authentic taste of Italy? Milanese Masala is donating a $30 care package full of goodies direct from “The Boot”. Prize details: 1 Premium Blog Design valued at $50.00 for Blogger platform only, that includes Header, Backgrounds, Blog Button, Favicon, Navigation Bar and installation. Prize details: Get that look you’ve always wanted for your blog with a custom blog design by Sara*s Pixel Studio! For terms and more information please click here. INTL 37 — The winner can have their choice of any pair of earrings from Lulu’s Hook. Prize details: Win your choice of any pair of earrings at Lulu’s Hook. Prize details: Fall in Ultimate Paper Love! Win a $25 gift certificate to Collective Elements & shop for handcrafted stationery and other paper novelties. Most items are unique and one of a kind. Prize details: Here You Are just won the 2009 Mom’s Choice Award Silver Recipient in the Motivational/Inspirational Category with its simple, profound, and timely message. In Here You Are, a small child, enjoying nature and asking the fundamental questions of life, suddenly remembers something very deep in his very own heart, which dissolves all questions into a peaceful and joyful gladness. Since Here You Are has an uplifting and healing effect on children and adults, BoathouseBooks is donating two copies. This way, Moms can have their cake and eat it, too – “passing it forward” without having to give away their own copy. Prize details: Keep kids reading, even on the go! The leader in children’s digital picture books, MobiStories, is delighted to donate $20 worth of downloadable books that can be played on virtually any digital device and taken virtually anywhere. Plus, EVERYONE is entitled to download our FREE book at www.MobiStories.com! Prize details: Pick out your own custom hand stamped piece, perfect for an early Mother’s Day gift! Prize details: Two Banner Ads for two Mommy Bloggers Winners. Banners will be featured on Teacake Martini site in the month of April (only) Fabulous Fun! Teacake Martini would like to donate (2) $16 Banner Ads to 2 winners to be used for their online store/site. Prize details: Get your 2009 off to a great start with more traffic for your blog! HomemakerBarbi is donating free advertising spots (125×125 buttons) to four lucky winners. INTL 47 — $15 gift certificate to Snowflake Beach Designs – digital scrapbooking store. Prize details: Do some digital scrapbooking! Snowflake Beach Designs would like to donate a $15 gift certificate to one winner to be used at their online store. Prize details: Browse the stunning photographs in the online galleries at and choose your favourite! The prize will fit into a standard 10x8inch frame. INTL 49 — Books $40 value: Let’s Get Ready For Kindergarten & First Grade! Prize details: Help your favorite child get ready for Kindergarten and First Grade with these award winning books used inside homes and schools nationwide! Prize details: A beautiful, one of a kind handmade necklace in deep purple. This 8 inch (22cm) necklace combines luxurious dark purple glass beads with small amethyst coloured crystals and funky tiger stripe, amber coloured beads. Perfect for adding a twist to a formal outfit. Prize details: Winner will receive advertising space for a 125×125 ad on my blog. Prize details: Nounces specializes custom birth announcements, wedding announcements, birthday invitations and more. Choose from predesigned announcements or customize your own. Check out my new blog! http://www.nounces.com. Prize details: Find your celebrity style with Designer Inspired Sunglasses! QT Sunglasses would like to donate a $15 gift certificate to two lucky winners to be used at their online store. Prize details: Need some fresh ideas for dinner? Hassle Free Dinners does the planning for you – 52 weeks of dinner menus, instructions, and weekly grocery lists. Three Steps to Planning Dinner helps you plan quick, easy, balanced meals, plus your own family cookbook. Prize details: MomAudience brings together moms, mompreneurs, and mom-appealing businesses through weekly emails showcasing new blogs, new products, new social networks, etc. Listings are free. But as sponsor of the week you get top billing, providing a blurb touting your business to an audience of moms! Don’t miss out – more info click here. Prize details: MomAudience brings together moms, mompreneurs, and mom-appealing businesses through weekly emails showcasing new blogs, new products, new social networks, etc. Listings are free. Your sidebar ads will appear on each email for six months and will be archived on the Mom Audience blog. Don’t miss out – more info click here. Prize details: Whether you are a college student, in the office, single mom, working mom, stay-at-home mom, or none of the above, discover your passions, gifts, and priorities, and live your life accordingly! Prize details: Everything you need to lose weight and never diet again! Carole at CommonSenseLiving.com is donating a copy of her newest package to one lucky winner. Prize details: Get your house clean and keep it that way – fast & easy! Carole at CommonSenseLiving.com is donating a copy of her best selling system to one lucky winner. Prize Details: Happy shopping at Amazon.com! Prize Details: Choose from 16 ePlanners and instantly download a packet of printable lists and planning pages in the topics that matter most to you. Prize details: Soft delicately detailed leaves in a bright silver tone dangle gracefully on contemporary flower hooks. Simple and sophisticated! Prize details: Your choice of any combination of custom graphics totaling $40.00 from Classic Housewife. Prize details: Make a big impression with fabulous business cards or expand your mommy network with calling cards… Boutique Graphics is donating 100 custom-designed cards for you to use as business cards OR mommy calling cards – you can even add photos, rounded corners and high-gloss finish! Prize details: Choose from over 45 brands of BPA and PVC-free eating gear for the whole family! The Soft Landing would like to donate a $35 gift certificate to three winners to be used at their online store. Prize details: Turn your child into artwork! One lucky winner will get a wholly custom-made, vintage-style collage featuring his or her children. The collage will be handmade to your specification by Leafdays.com. Prize details: 125×125 button on the left side of every page at MomKaboodle for 6 months and one year in our Shopping directory. Prize details: Select an item from Jus Shar Designs using the $25 gift certificate donated by Beth at Jus Shar Designs. She is also having a fun give-away and poll on her blog to celebrate the UBP 2009 party. Prize details: Farmstead Lady Designs, where handcrafted is made beautiful would like to donate a $20 gift certificate to three winners to be used at her online store. USC 1 — Spanish for Children DVD series. Prize details: Teaching children Spanish has never been so much fun! Kids will actively learn Spanish through music, movement, and fun activities with the award winning Bilingual Fun DVD series. Created by parents and educators. Prize details: Handmade Quality Children accessories for your little princess! Born2impress would like to donate $50 gift certificate to one winner to be used at their online store. USC 3 — $25.00 for a Little Green Radicals baby outfit. Prize details: Crafting in Laymon’s Terms offers different products from things for your home to handmade greeting cards to children items. The winner can use their $35 gift certificate on any product at Crafting in Laymon’s Terms shop. Prize details: Seth Godin is *the*marketing guru for Internet and new media. In his latest book, Tribes, he tackles how individuals can be leaders in the nebulous world of Web 2.0 and build vibrant and productive communities online. Prize details: iseemyface.com would like to donate a $50 gift certificate to one winner to be used towards any of the customized gift products available on their online store. At this time of year, we highly recommend the “My Daddy” book, just in time for an unforgettable Father’s Day gift for Daddy to enjoy with your child…a book all about him! Prize detail: Find the unique gift that’s Personalized..show them you care. Please choose color,and initial to be monogramed $20.00 value. Prize details: Mom Writers Lit Mag. Because Motherhood is Literary. MWLM would like to donate 1 year print magazine subscriptions to three winners! Prize details: Salon Hive would like to donate a $50 gift certificate to 1 winner to be used at their online store. Salon Hive provides all your Beauty Needs in One Place! Makeup, Skin Care, Professional Hair Tools and more! Prize details: Run in style this spring! Winner’s choice of baby/toddler shoes from See Kai Run/Smaller. Prize details: Bath time fun and dinnertime contentment. 1 winner for each prize by Boon: Saucer, Splat, Water Bugs, and Scrubble. Prize details: Mrs. CPA wants you to look fabulous for Spring! Check it out here and here! Provided by: Want to Know What I Think? Prize details: Amazon has one of everything and now you can have a few bucks to get started buying it all! Treat yourself to something fun! Prize details:Kristen’s Custom Creations is offering a $50 gift certificate to her shop www.klacustomcreations.etsy.com specializing in hand stamped sterling silver keepsake jewelry, from Mommy jewelry to inspirational and much much more! Prize details: SureBaby.com’s Mom Blog is giving away a free pair of sterling silver chandelier earrings from ice.com (a $50 value). Since most of us moms usually only buy the essentials for our families and rarely splurge on ourselves, we wanted to giveaway a special gift that we wouldn’t normal buy for ourselves. Prize details: Sweet-Pea-Creations – Specializing in handmade and custom birth and adoption announcements, invitations, and matching note cards. Personalized specially for you at a price you can afford! Sweet-Pea-Creations is donating a $25 gift certificate to one winner to be used at their online store. Prize details: Photo Birth Announcements by Alley and Company – Stylish & Sweet Designs to Celebrate Life`s Precious Moments… Specializing in Custom Photo Birth Announcements, Baptism and Christening Photo Invitations, Holiday Photo Cards, Photo Note Cards and Novelty Baby Drivers License Birth Announcements. Alley and Company is donating a $25 gift certificate to one winner to be used at their online store. Prize details: Celebrate motherhood with style, sass and fabulous designs. The ORIGINAL lifestyle company dedicated to moms has been seen on Oprah and in numerous mags across the globe…join the celebration! USC 21 — Free Fotomural – Custom black and white photo tiled mural on card stock. Prize details: Just slip Amber Alert GPS into your child’s pocket, clip on a belt or put in their backpack and you can know where they are in seconds from you cell phone or computer. Ambler Alert GPS is the world’s smallest GPS child locator. You can track the location of your child, set safe zones, set speed and temperature alerts, and be instantly notified in case of an emergency. Keep you child safe and have peace of mind with Amber Alert GPS. Get more details at AmberAlertGPS.com. Also, anyone visiting our website during the blog party will receive a Free Child Safety Kit. Prize details: Hip, fun music for kids that parents will enjoy just as much!!! USC 24 — A collection of five autographed books by the author Denene Millner of MyBrownBaby, including the Oprah-featured “Act Like A Lady, Think Like A Man,” which Denene wrote with comedian Steve Harvey. Prize Details: Get the Disney DVD Phineas and Ferb: The Daze Of Summer. First time this is on DVD and includes bonus outrageous science experiment games. Prize Details: After a week of the mommy blogging event you will want to get cozy in some comfy pj’s! Hatley would like to donate 10 $50.00 gift certificates from their online store! Prize details: Cherish the names of your children with our personalized mother’s necklaces. Each piece is uniquely created by hand for you. Bliss Living is giving away three $25 gift certificates to three winners. Prize Details: ee publishing & productions is happy to offer the first two picture books in the multiple award-winning Nana Star series, along with their companion plushies, in a Nana Star and Friends package to three lucky winners. Nana Star and Friends. Inspiring Character. Prize details: Win a free set of double-sided Flashcard Zoo Alphabet Cards. Each waterproof flashcard has a colorful photo on one side, a guided writing exercise on the back and is laminated in super sturdy laminate. Prize details: How to Stop fighting about the 3 things that could ruin your marriage. PlusSizeMommy would like to provide you with this wonderful “guide”book to help couples through the hard times in their marriage. Prize Details: Are you ready to drop that stubborn weight that just won’t come off? You can with Core4’s scientific and 100% natural weight loss system. Discover a rockin, healthy and energized body with our Nutrient Fusion System! Prize Details: Are You a Turbo-Mom? Do you spend your day managing a household, taking care of family and children, while holding down a job or even running your own business? Do you feel you’re paying too much, but don’t have the time to shop for a deal? You are a Turbo-Mom and this book is for you! Aji Publishing would like to donate a free copy of this very timely book, Turbo-Mom’s Guide to Saving Money Without Wasting Time, to one lucky winner! USC 34 — a box of laugh-friendly company® fun! One copy of Chatterbox: The Bird Who Wore Glasses picture book, one Classic Fire Trucks picture book, and one CutiePatootie WannaBe Baby (we’ll surprise you with either a nurse, tugboat captain, swimmer, or chef)! Prize Details: ee publishing & productions is happy to offer this laugh-friendly box to eight lucky winners. http://www.laughfriendly.com/ Be Laugh-Friendly. Change the world. USC 35 — Hotslings pouch-style baby sling and nursing cover combo. Prize Details: Fashion and function infused – Hotslings, the original and leading pouch-style baby carrier. Visit our website to choose from an endless combination of slings and nursing covers. Prize Details: Bradi Nathan and Terry Starr, Co-Founders of MyWorkButterfly.com, interviewed Triple Platinum Artist Colbie Caillat and her mother Di for a very special Mother’s Day video feature to be showcased on MyWorkButterfly.com this May. Colbie signed her CD just for you in support of Butterfly’s mission to empower moms. Prize details: The wood on this teether from Mithril Dreams is all natural finely sanded birch. Your child’s name will be engraved onto the teether to give a more tactile feel and to start name recognition. It comes in a keepsake box when teething is over. The only upkeep is to wash and oil with organic olive oil. Prize details: One lucky winner will receive an eenamaria purse – the All Night Clubber in grey- plus a $20 Macy’s gift card, just to have fun! Prize Details: Find holistic and fashionable ways to obtain pain relief with magnetic jewelry from Beads-N-Style! Prize Details: Enjoy a large Yankee Candle Jar – YOU get to pick the scent! Visit Yankee Candle to see all the different scents available. Provided by: Prontip & Co.
Prize Details: Keep those keys close at hand with this fashionable key fob. Winner picks the fabric of her choice from my stash! Prize Details: This beautiful dress in greens and pink has a bodice that crosses in the front and a gathered skirt. The back is open and halter ties around the neck. Prize details: This Golden Dragon is ready for any festival. Made from beautiful Moda fabric this double layered top ties over the shoulders into a bow at the back. The Capri’s are finished with one large ruffle on each leg and an elastic waist. Prize details: Be unique and oh, so savvy with fabulous jewelry handmade by SavvyGirl & Company. SavvyGirl & Company is so excited to donate one of our “Prized” and Lovely Candy Apples Bracelets. t’s the perfect RED that can be worn all throughout the year! We know you will love it! A prize value worth, $61.00. Prize Details: Leg Huggers are great – not only are they super cute & comfy, but they are made from sustainable bamboo! Healthy for baby & Earth. Grab your choice of two pair of Leg Huggers & a Onzie. It will be hard to choose just two, but you’ll be glad you did! Prize details: Winners will receive gift certificate code via e-mail for redemption at amazon.com. Prize details: Be fashionable this spring with a unique crocheted hat from Jaybird Designs! Your choice of any finished hat in my shop up to a $25 value. Prize details: Are you more than just the laundry stain getter-outer, the head muffin maker, the sibling squabble solver? Need some encouragement in your vast job of homemaking? www.queenofthecastlerecipes.com is donating a copy of the book Queen of the Castle, to help you serve your family with as much joy as you can muster after the day’s fifth load of laundry. Prize details: www.cupcakecuddles.com would love to giveaway two Flipper toothbrush holders to one winner. They are not only adorable but they are functional too! Click on the link below to see all the available designs and to view a cute demonstration of how it works. Prize details: Hot off the press, this candid account of one homeschool graduate’s life experiences will give readers a glimpse into the world of homeschooling. The stories Natalie shares provide hope, humor, and an ample dose of reality that will encourage the heart of any mom. Prize details: Nature’s Treasures, Fanciful Craft and Whimsical Art! Robin of The Blue Nest is giving away one of her sweet Blue Feathered Nests (selling for $18.99 each). Prize details: Money saving strategies and life-management tips to help any family function better. Prize details: Our Chocolate gift sets will make a perfect baby shower gift. One lucky winner can choose either the pink or blue set. Prize details: New mom Melissa (via fost/adopt) from Full Circle wants to pamper one winner and donate a $25 gift card to Target. Prize details: Wouldn’t you like a personalized button promoting your blog, a meme you host, a product you sell, or even a favorite Scripture or quote? Enter to win this prize, donated to one special lady by Extravagant Grace Designs! USC 58 — Handmade Retro Apron of your choice! Provided by: Kati @ Country Girl, City Life and BoojiBoo!! Prize details: Mommy Cards are business cards for moms! Choose from 10 different designs! For full design options, visit Here We Go Productions. Prize details: Childrens’ tees that promote natural/attachment parenting, peaceful Christian living and saving His planet. Prize details: SweetTeaShoppe would like to donate a handmade little girls halter top to one lucky winner. Custom sized (12M through 5/6) to provide the perfect fit for your little one. Prize details: Madre Gear offers trendy maternity clothing, breastfeeding supplies and baby gear. 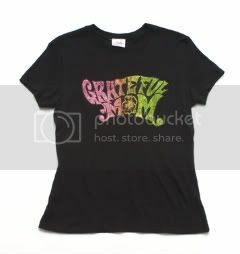 Madre Gear would like to donate a $50.00 gift certificate to be used at their online store. USC 68 — A hardcover copy of Jenny McCarthy and Dr. Jerry Kartzinel’s new book (release date March 31, 2009) Healing and Preventing Autism valued at US $26.95 Can. $33.50. Prize details: Jenny McCarthy, leading spokesperson for autism awareness, has teamed up with Dr. Jerry Kartzinel to create the first resource book for parents on how to treat autism in children NOW. There will be three winners for this prize. Prize details: Where the cool moms shop for stylish and functional baby and maternity wear and gear. LaLa Baby Boutique would like to donate a $25 gift certificate to two winners to be used at the online store. Prize details: The little extra something you need to use with your Nesting Pillow or on its own, The Nest Egg gives support for your head, arm, breast, or for a little extra height under baby’s head. It’s small and lightweight enough to take along for support and comfort on the go! Prize details: Adorable lamb print perfect for baby’s room or a cute little nook. Digital print of a watercolor painting Twofer the Price of One would like to donate a copy of the North Country Lamb print from Golly Bard to one winner. $18 value. Prize details: Smooth R&B soul music inspired by Original Motown sounds by a talented artist with his first American CD release. Find more details here! Provided by: Kristen Goodman of Total She Inc.
Prize details: 4 paperback books for the “adventurous” one: True Stories of Heroes (Cover is different, book is the same), Human Body, Don Quixote, and The Usborne Illustrated Greek Myths and Legends : grouping best suited for 4th grade-9th grade. Prize details: 50,000 homeschooling families can’t be wrong! Check out one of Acorns~ Or Homeschooling Nuggets of Gold‘s favorite homeschooling curriculums for PreK through 7th grade. Prize details: The Disney Princess Umbrella Stroller features a tall frame and an adjustable canopy to shield your child from the sun. Pushing is easy with front swivel wheels and the stroller easily folds up for convenient storage. 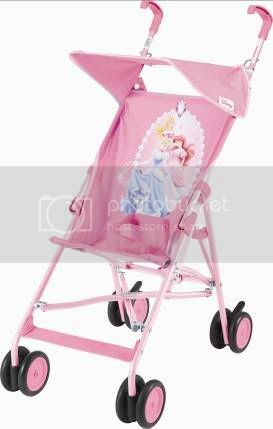 The pink stroller features Cinderella, Sleeping Beauty, and Ariel and can hold up to 35lbs.